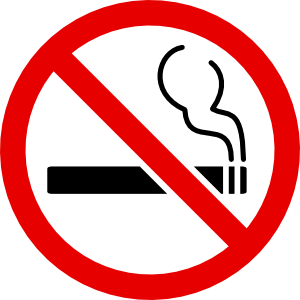 Since that fateful August day in 1995 when a lowly little caboose came into our lives, nothing has been the same. Due to our fascination with these lovable "crummies" they multiplied steadily until it became increasingly difficult to find new additions. 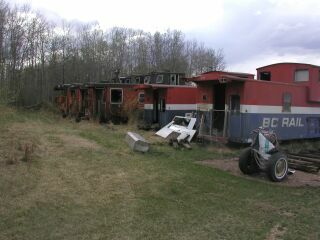 Five CN and two BC Rail mainline cabooses reside in our yard, some of which someday will have the honor of providing delightful shelter for our guests. The Grand Trunk Pacific Type E station dominates our charming train yard. 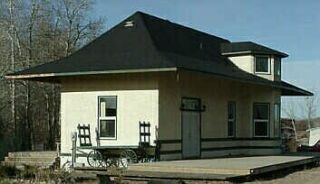 Built in 1910 in Duffield, Alberta, it was retired from active service in 1962, moved once locally, and in 1997 was relocated to its present location where the proud new owners restored it to its original appearance and have lived happily in it ever since. The highlight of the Footloose Caboose Lodge, and our pride and joy, is the Canadian Pacific heavyweight - Mount Lefroy Dining Car. Built in 1909 by C.P.R. 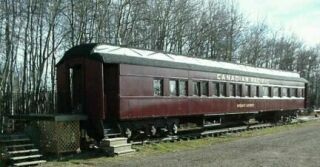 as the first one of the "Mount" series cars, it was used in passenger service across Canada until 1942. At that time four of the "Mounts", including Mount Lefroy, were rebuilt as day coaches and sold to the N.A.R. to help with increased traffic to the North due to the Alaska highway and Canol pipeline projects. The car was acquired from The Fort Edmonton Historical Society in 1991 showing signs of age and long term neglect. After an extensive floor to roof reconstruction, we are very proud of our Mount Lefroy dining car and hope that our guests will appreciate the magnitude of our project and it's results. The present day "Guy Wall" dining car arrived in 1998 from the Hay Lake Lions Club campground. It was built in July 1929 by National Steel Car Co. in Hamilton, Ontario and served as a coach for CNR until November 1965 when it was rebuilt as a work car. 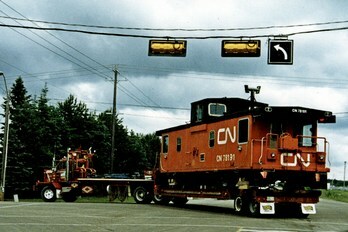 It was retired in May 1987, purchased by CWR and subsequently donated to the Lions Club in 1993. The reconstruction took 4 years.